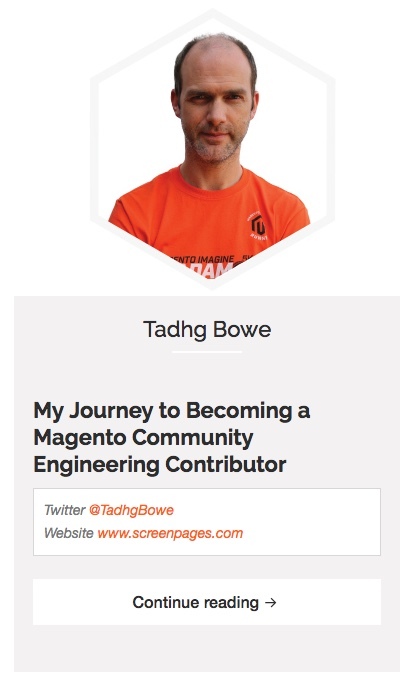 Screen Page’s very own Tadhg Bowe is a speaker at Mage Titans 2018. Tadhg is a technical team lead, who likes to think of himself as a “jack of all trades, master of one or two”. One thing is certain. He’s a massive fan of Mage Titans! 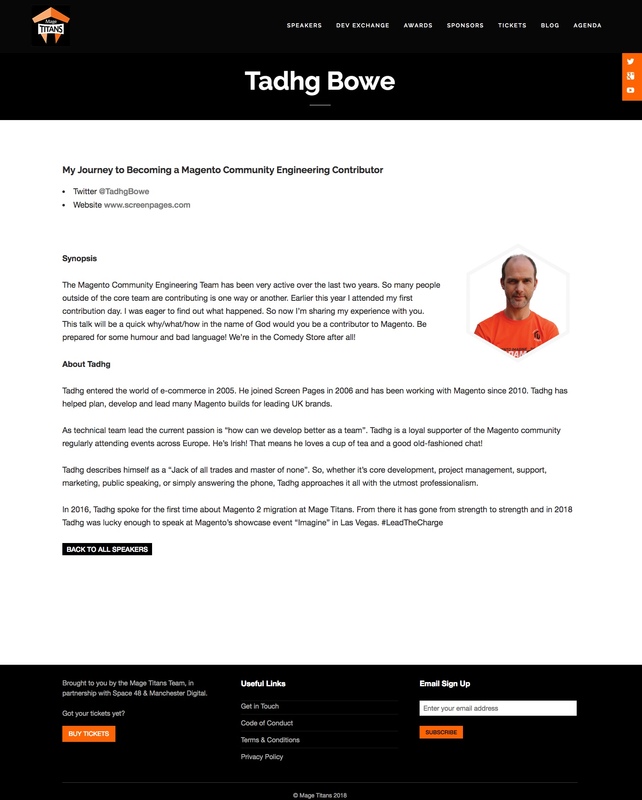 A passionate supporter of the Magento community, Tadhg is also well known for his sense of humour. Expect more at this year’s event! Back in the olden days, we had PR & PR agencies. Now we have fragmented communication channels and a lot of online influencers. There’s also some advice on which tools to use to assist, such as Buzzsumo. Jewellery, bags and accessories marketplace Boticca.com has revealed that Pinterest drives more sales than Facebook–or any other social media channel. Pinterest has influenced 10 percent of transactions on Boticca.com in the past month, versus 7 percent from Facebook, as measured by assisted conversions. Further, the average order value of sales driven by Pinterest to the Boticca.com website is $180, 10 percent higher than the Boticca.com overall site average and 90 percent higher than the AOV of sales driven by Facebook. However, it noted, conversion rate via Pinterest is lower than via other channels; 50 percent lower than Facebook and 73 percent lower than the Boticca overall site average.